Clay right fielder Evan Woods got the Panthers offense going Tuesday night with with a leadoff double in the bottom of the first inning. 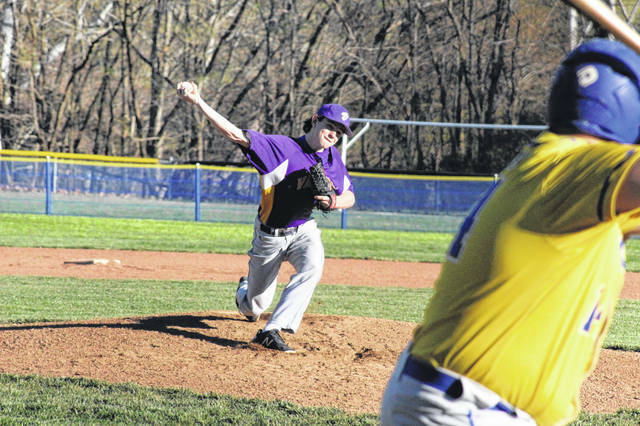 Valley junior Jake Ashkettle did not give up an earned run in the Indians road loss to Clay Tuesday. Clay junior ace Dakota Dodds allowed just three hits in the Panthers home win over Valley Tuesday. PORTSMOUTH – Defense wins championships, as the old saying goes. Tuesday night’s 3-1 non-league win over Valley, a district champion a season ago, wasn’t a championship, but it’s a win that helps bolster the Clay Panthers resume in this young 2019 season. 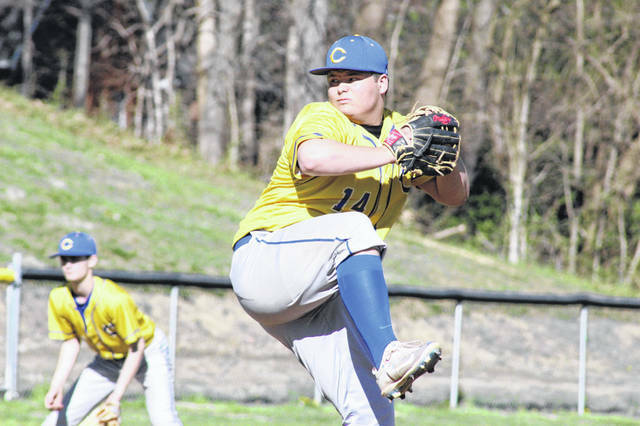 If it weren’t for the pitching performance from junior ace Dakota Dodds and numerous plays from a defense unwilling to make a single mistake, Clay may have been looking at their second loss this season. 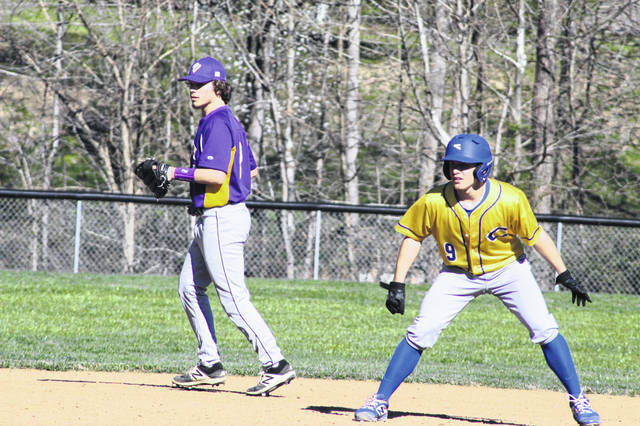 However, Dodds did what Dodds does by striking out batters and putting the ball in play and allowing his defense to pick up the slack as the Panthers claimed their tenth win in eleven tries. By game’s end, Dodds pitched a complete game allowing just three hits, a run, and no earned runs while striking out eight Indians batters. For the game, Clay picked up five hits, two of which came off the bat of right fielder Evan Woods who got the game started with a leadoff double in the bottom of the first inning. Jaden Jesse picked up the lone RBI for the Panthers in the win on a fielder’s choice RBI that scored sophomore Clay Cottle in the bottom of the first. For Valley, junior Jake Ashkettle gave up no earned runs on the mound pitching all six innings that the Indians took the field while giving up just five hits and striking out five Panthers batters. Clay’s win Tuesday is important. Defeating a district champion from a season ago, albeit a struggling one, is a tall task. To check off some of their goals from their list set before the season, one that includes knocking off back-to-back SOC I champion Green, Cottle knows a win like this will be good experience as his group of Panthers hope to knock down some of those barriers.